Visit ChellyWood.com for free, printable sewing patterns and tutorials for dolls (and their furniture). Today I’m going to give you my free sewing pattern and tutorial for making this adorable ironing board. It’s about the right size for Barbie™, Monster High™, Ever After High™, Lammily™ and similar fashion dolls. To save space, I added a jeans pattern to the ironing board pattern. 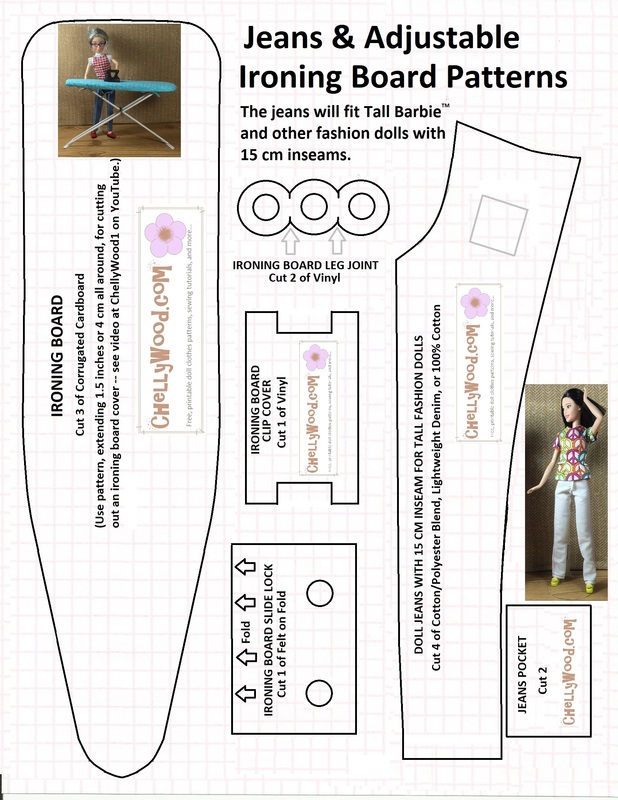 If you’d also like to sew jeans to fit your Tall Barbie™ (and if you’d like to watch that tutorial as well), go to this link. Visit ChellyWood.com for free patterns and tutorials for doll crafts. You’ll see my doll sewing room appearing in a lot of my more recent tutorials. I even have my dolls do the sewing on that cute little sewing machine. Coming soon: easy-peasy sewing lessons for the beginner doll sewists. 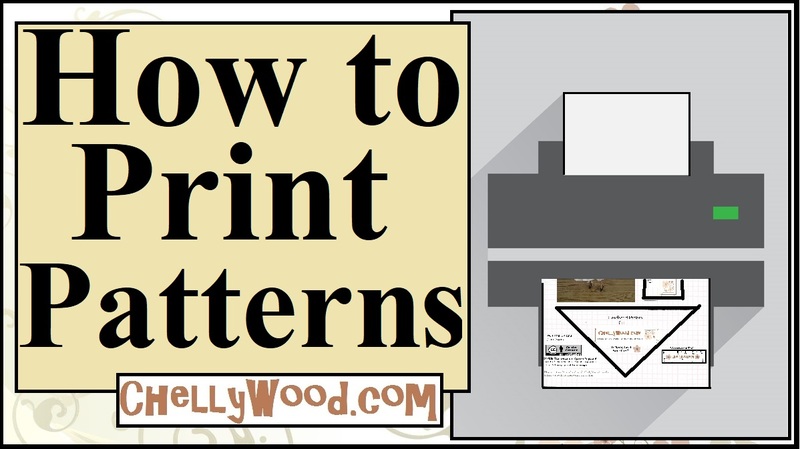 I’ve been getting requests for tutorials that even the brand-new sewists can make, so I’m working on a series of easy-to-sew patterns and tutorials for just that sort of person. These beginner tutorials will be suitable for both children and adults. I plan to begin posting those easy-sew lessons and patterns this fall, so stay tuned for more news about that. Please be aware, however, that I may not be answering emails until mid-August, as I’m on a business trip right now, so if you need answers to your sewing questions right away, you’ll probably want to search elsewhere.